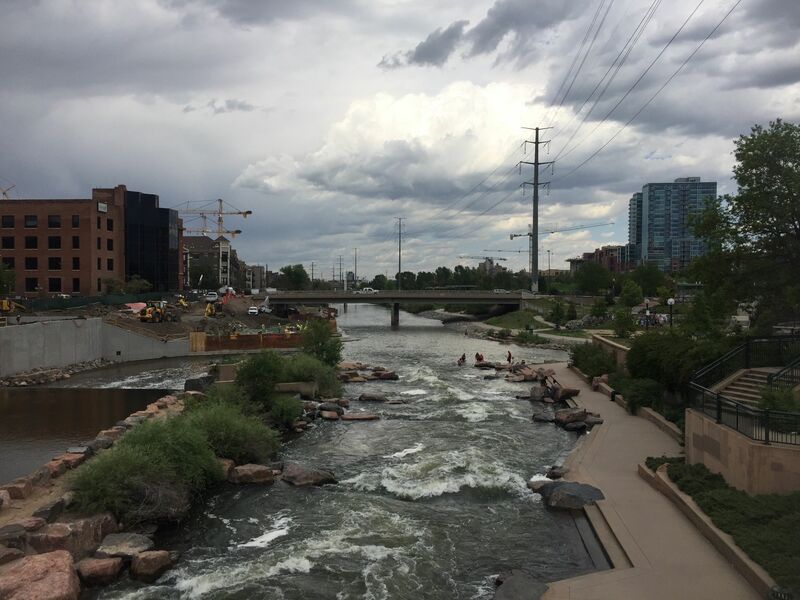 Cherry Creek Trail is a 11.2 mile moderately trafficked point-to-point trail located near Denver, Colorado that features a river and is good for all skill levels. The trail offers a number of activity options and is best used from March until October. Dogs are also able to use this trail. 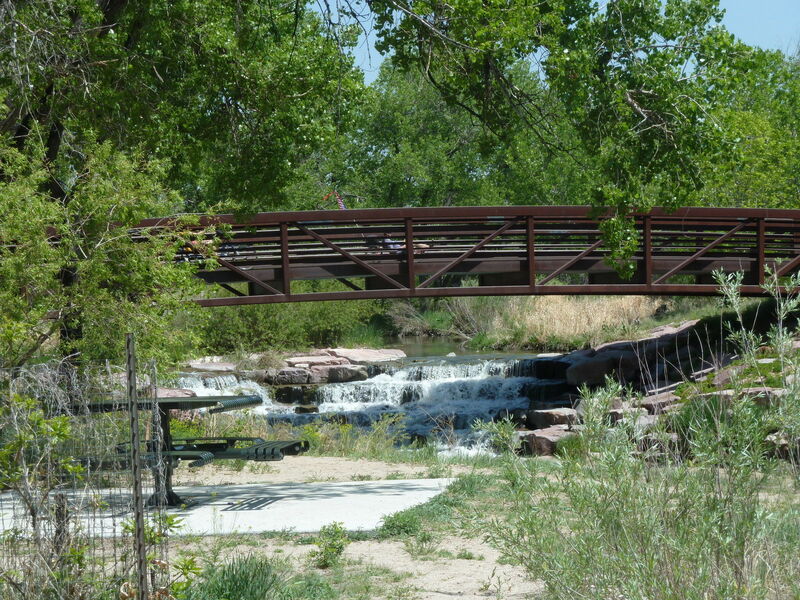 Explore a whole new Denver as you discover hidden parks, ritzy malls, swanky country clubs & a beautiful creekside path. If you haven't seen Denver from the Cherry Creek Trail, you haven't seen Denver. 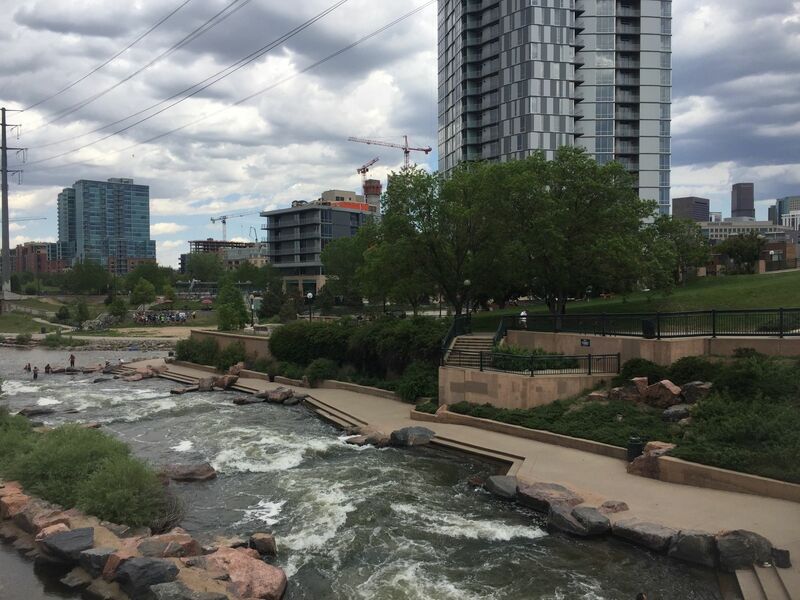 Starting at Confluence Park, on the Platte River Trail, this path slices through the heart of Denver and rambles all the way to Cherry Creek Lake/Reservoir. Along the way, it passes numerous attractions including: - Cherry Creek Mall - Four Mile Historic Park - Denver Sister City Parks - Denver Country Club - Cherry Creek Country Club You will enjoy this trail all by itself or you can ride it as part of the 42 mile Northeast Denver Loop Trail or the Southeast Denver Loop Trail. 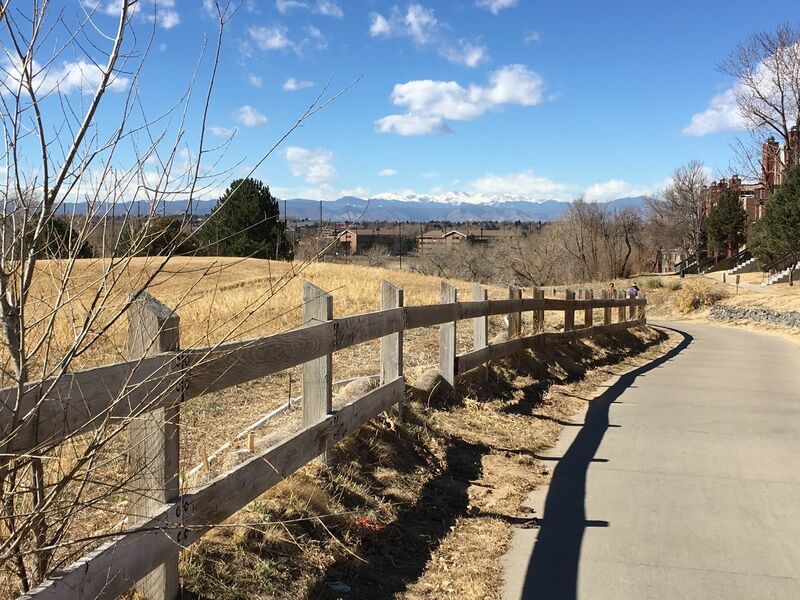 This trail is one of many beautiful Denver Trails that highlight the charms of the city and introduces you to the distinctive suburbs. It is a cement trail for smooth riding and provides numerous exits to allow access to the city and the many parks that it bisects. Don't fret if you don't have a bike. You can rent one from many locations in Denver. This creek and trail junction makes a great starting spot for your trail sojourn. 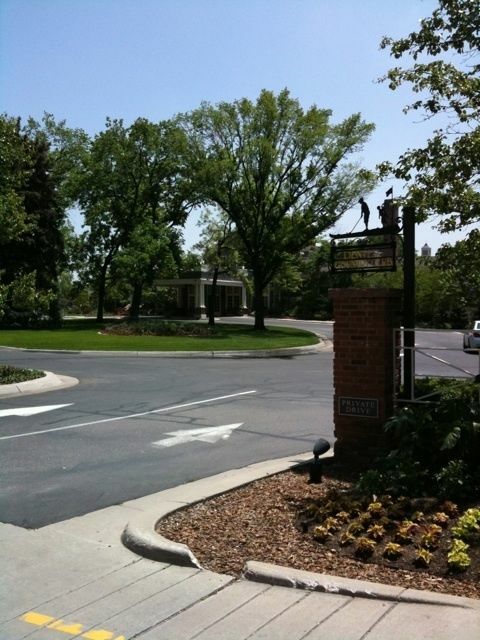 In addition to being scenic, it is also the junction of two major Denver trails. 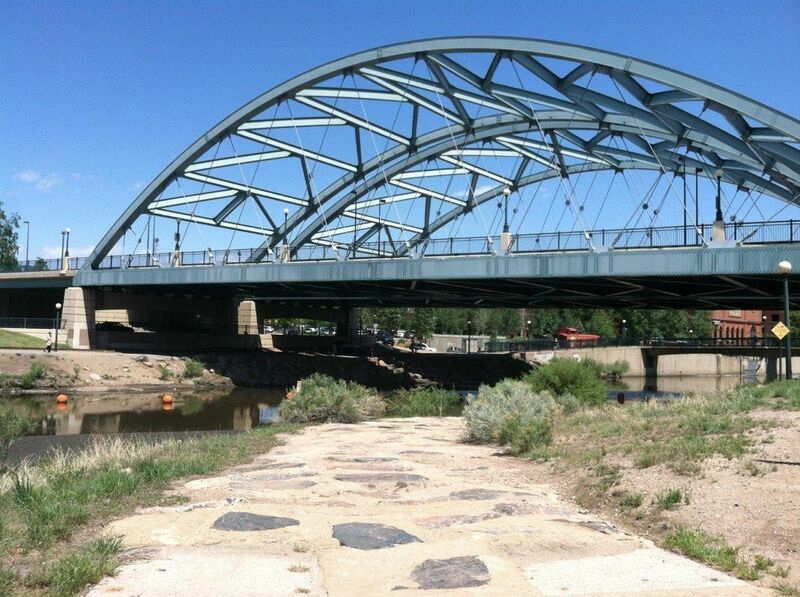 This is where the Platte River Trail and the Cherry Creek Trail come together. This is a good trail entrance/exit to access Coors Field, the most Denver B-cycle stations, Tattered Cover Book Store, and lots of good restaurants. 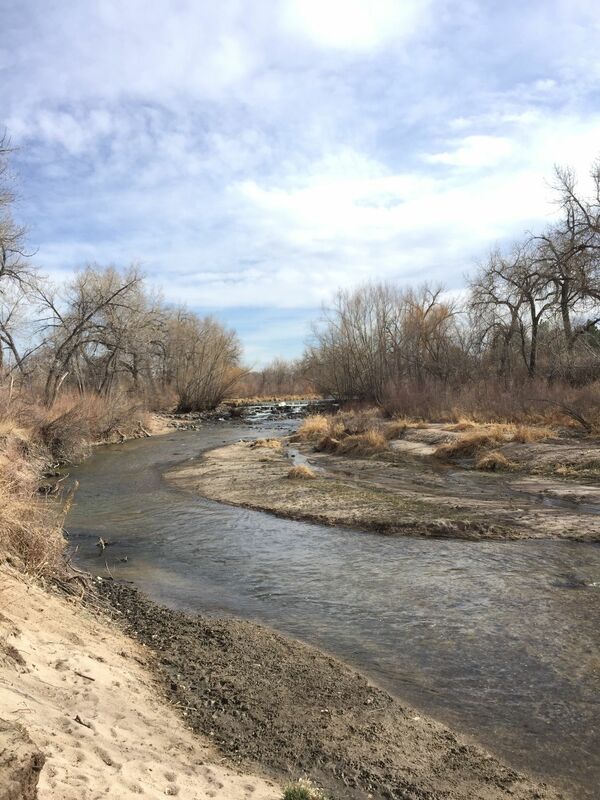 Enjoy the tranquility and scenery of Cherry Creek. 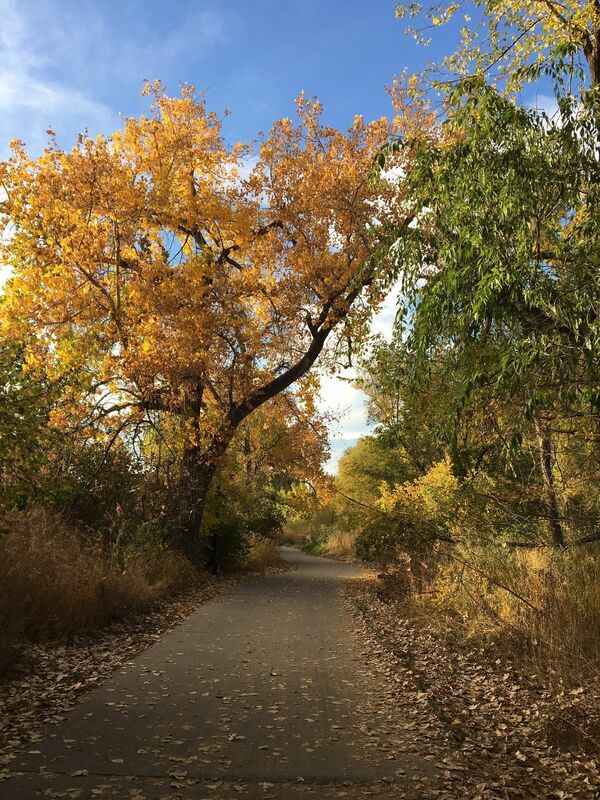 Whether it is in the city or on the outskirts, this historic and scenic creek provides the lifeblood of the Cherry Creek Trail. This is an upscale mall that offers great browsing and shopping and is an especially nice escape on a hot summer afternoon. 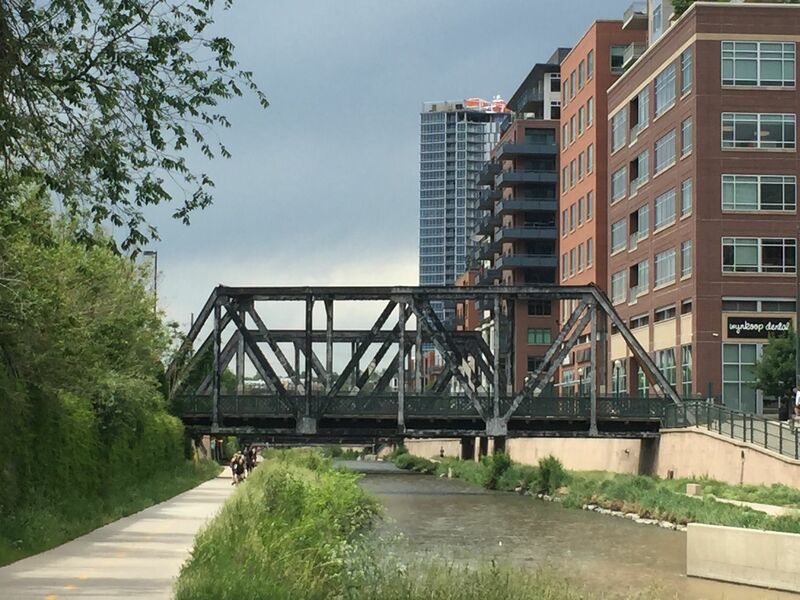 For a completely different trail experience, you may want of focus on the fascinating Sister Cities Parks that line the trail. Denver has an exciting relationship with ten cities worldwide and has established educational signs for each one. Some of the Sister Cities Parks include: City of Potenza, City of Karmiel, City of Takayama, and City of Madras. 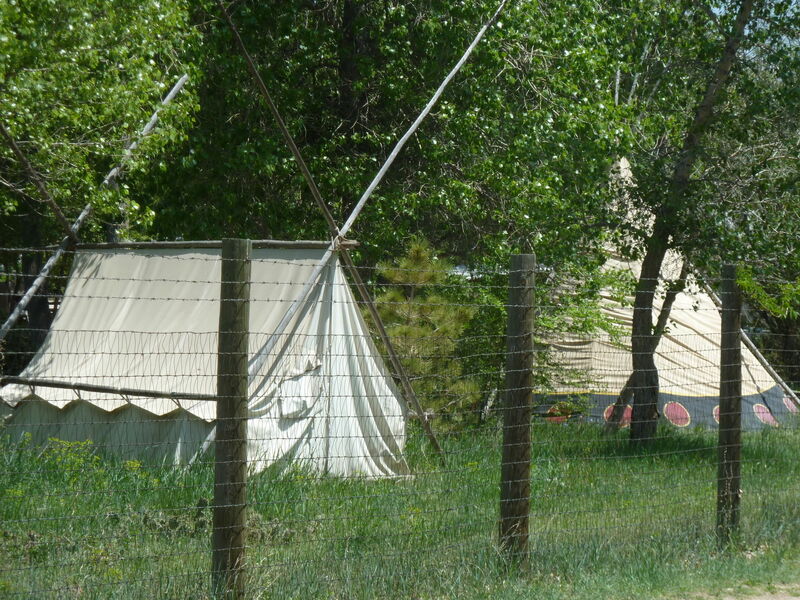 This 12 acre enclosure includes a fascinating pioneer museum and Denver's oldest standing structure. Guided tours are available. You can see historic structures from the trail. 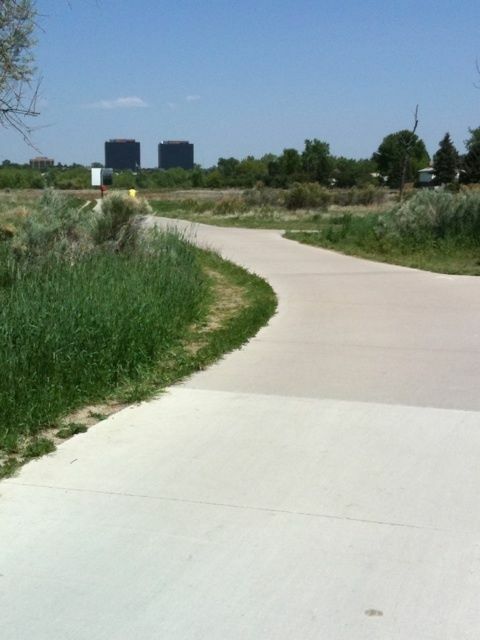 This trail allows you to ride the Southeast Denver Loop Trail. 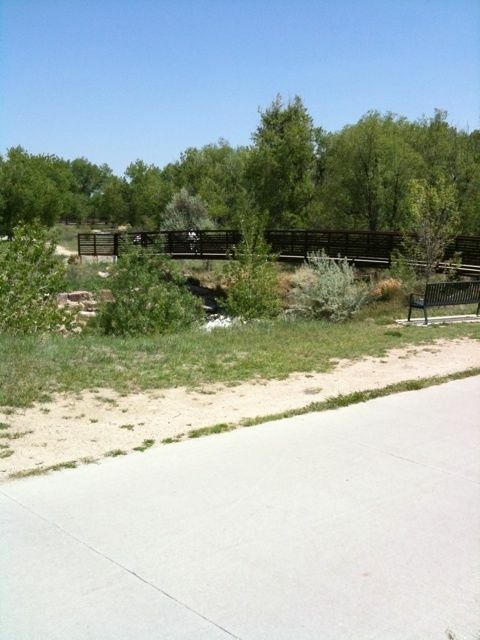 This trail, along with Cherry Creek Trail, is part of the Northeast Denver Loop Trail. 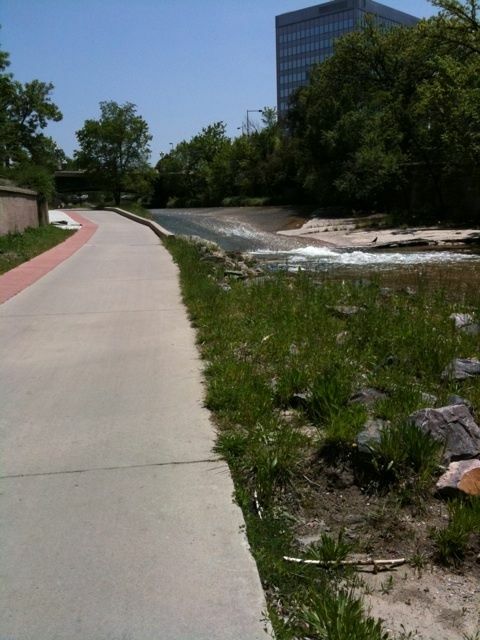 The Cherry Creek Trail travels by and through over a dozen parks. From this point, you can turn around and head back toward Confluence Park or continue riding on trails that surround the lake. 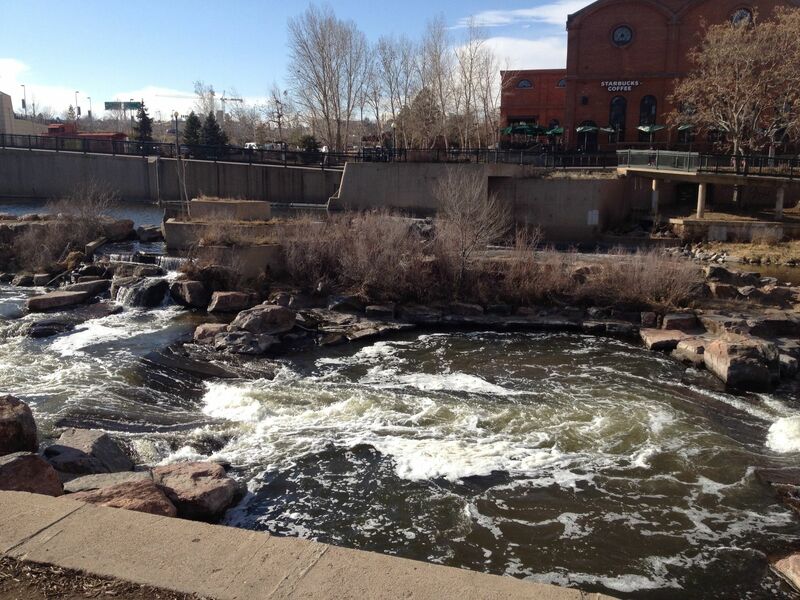 - This guide takes you as far as Cherry Creek Dam. You can go further on either side of the reservoir, but this guide is written for those who want to enjoy a 22+ mile out & back ride. - Although you will find few bathrooms within sight of the trail, if necessary, you can find facilities in the numerous parks strung along the path like pearls on a necklace. - For a great morning, stop by Tattered Cover Bookstore and enjoy a coffee and snack while perusing the bookshelves. - For a fun afternoon activity, rent a bike from Denver B-Cycle (website link included with this guide), fill up the built-in basket with a picnic lunch and enjoy great day on the trail. -Although this guide lists the trail as 11.2 miles, remember that if you do it out & back, you'll have traveled 22.4 miles, so plan accordingly. Road this trail as a novice. 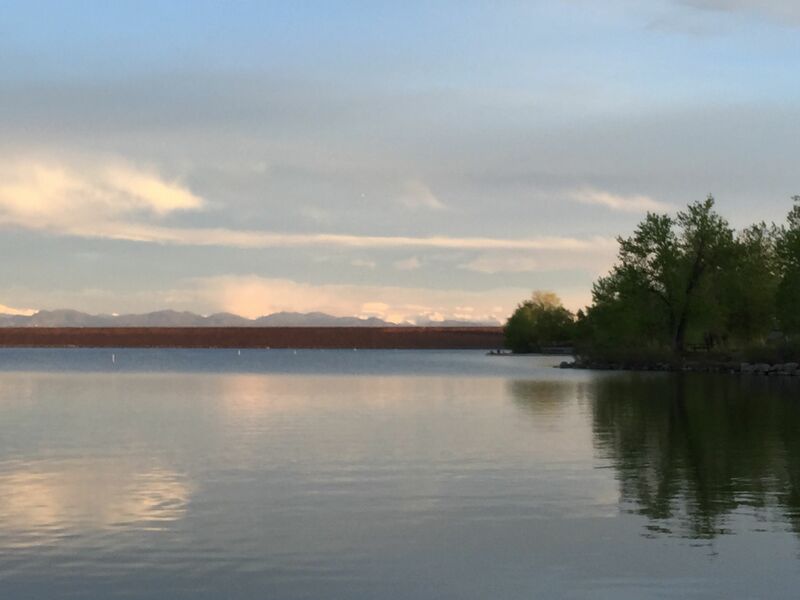 Beautiful trail with a variety of terrain to see, and a nice view of Denver waiting for you at the reservoir. Homeless people do tend to set up camp closer to the downtown Denver area. But, once you make your way further the trail is quiet. I went during the week so I can imagine it would get crowded on the weekend. Happy travels! Easy trail- we didn’t it with little electric scooters from the convention center to the REI. Round trip takes less than 30 minutes on scooter, perhaps that distance would take 1-2 hours on foot. What an awesome trail. Great ride and beautiful change of scenery. 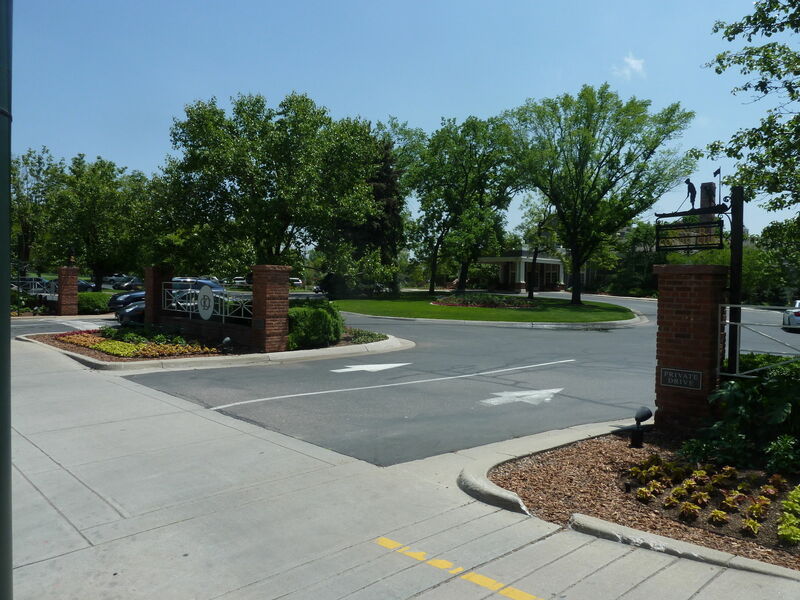 Entered by Holiday Inn Denver-Cherry Creek rode to the lake, around and back. Approximately 24 miles. Nice, wide path and not much traffic around the lake on a Friday late morning. I take it to work from Washington Park. Really great way to bike into the city. My wife and I have biked this trail a few times and we love it. It really gives you a good and different perspective of Denver. The trail is fairly flat and there is a lot of tree coverage so it doesn't get too hot in the summer. There's also plenty of places to stop and get a bite to eat, drink or just take a rest. 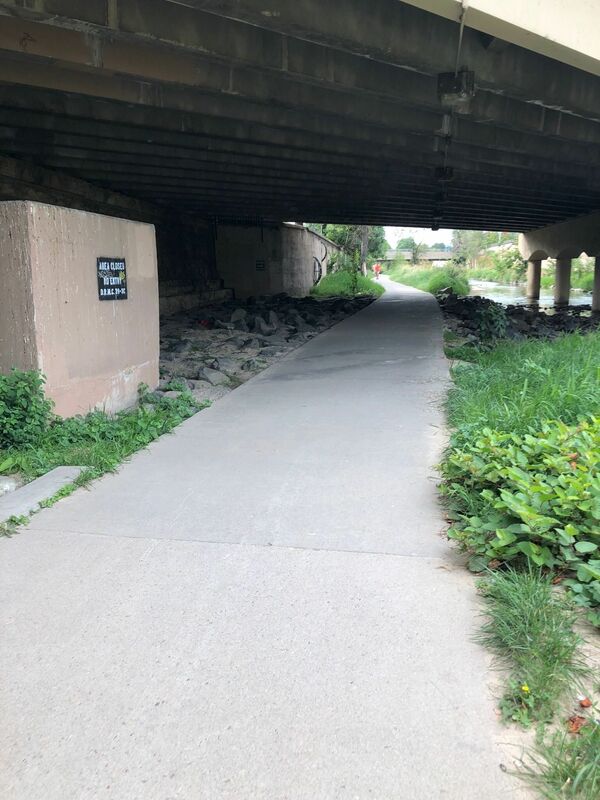 The only bad thing about this trail is that once you get close to downtown you start seeing a lot of homeless people near the trail and some are using drugs. Great area to run. 8 miles around the park Starting at the East entrance. There are a lot of trails in the park and connecting to the park for the long runs. If you're going for a long run or a short run you can find it here. It is also very scenic and has wild life. Great day, easy transition from farmland to mountains. Helped acclimate to higher elevation. Had two knee surgeries, trail was easy on knees. Loved the view. Pretty area right downtown for some nature time . One side is for pedestrians and other is for biking and roller blading . All paved . Pretty, clean creek and dog friendly ! Walk alongside the city skyline! Great trail for commuting on bike. Also good for enjoyment through walking, running, and biking. The dog park is amazing!!! Very busy in the afternoon. Great trail for running. Mostly flat and below street level so it stays relatively cool. Lots of bikes and runners on the weekend. Nice ride, started downtown and went to the 11 mile marker. Nice scenery of the creek/river, other than that not too much going on. There's a mall area in Glendale, ate lunch at the whole foods there. A few nice stops along the way, and the whole thing is paved and easy to follow. You can feel the slight uphill going east, but it's not bad at all. great commuter bike trail; not much for walking or running. I bike it most days to work from Logan St. to downtown. It is well maintained, but it's heavily used, isn't really scenic, smells a bit, and has a number of homeless people residing by. The best way to enjoy the trail is biking the southern section at night on a full moon. It's a real get away then and you have it all to yourself. it's close. it's a wonderland in the city. Very busy on the weekends but great for the convenience. Need to be careful when passing runners and walkers. The trail is in great condition. Covered about 5 miles and change with my dog along the creek in the southern suburbs. Creek bed was dry, but the houses you pass are pretty. Traffic was moderate but friendly. This trail system feels best for walking, running, and biking. I rode my bike about 3 miles down this trail. There is some good and some bad. The good - plenty of street art to look at and take pictures and the luxury of having the creek run through the trail is amazing. From time to time you will see fly fishing and kayaking. The bad - plenty of bombs/homeless walking on the adjacent side of the trail closer to downtown Denver, but fades away as you get closer to Chery Creek, CO. Very high traffic of bikers and joggers and simply people in the way. I would only recommend biking on this trail although there are plenty of runners as well.